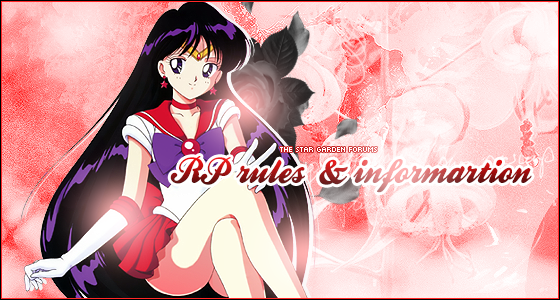 Welcome to the Moon Kingdom, the rp section of the site! We have links listed with information and things you need to check out. Storylines, ooc, wip characters, planning is essential! Post those things here and a mod will approve or deny them! Everybody's characters, senshi and non-senshi! Characters here are ready for use (or in progress) on the site! RP in the past, present, future, multiverse, or go freeform! Events too! No Mature-rated/18+ roleplays. This is a PG-13 site and we do not allow it. Please take your mature roleplaying to sites built for that or email/discord/etc. No PMs', either. Do not double post. Wait your turn. No godmoding (basically playing god) or metagaming. Obviously, the general site rules apply here, follow them. Keep OOC spoiler-tagged and to a minimum on rp posts. There's a forum for OOC anyway. If your thread is not replied to within two week, it will be archived.